Large-scale road construction, record results by ports and airports, and the emergence of discount air carriers – these are the main success stories in the transportation industry in 2017, which cannot be overshadowed even by that Ryanair row and corruption corroding Ukrzaliznytsia [Ukrainian Railways]. Although resolving these issues, as well as setting new records in the sky, on land and water will be the main challenges for the Ukrainian government this year. The year of 2017 has seen record figures over the past 5 years in terms of the number of roads repaired across Ukraine. According to Ukravtodor, nearly 2,100 kilometers of motorways has been repaired. The result was due to the increase in financing of road construction in 2017 - up to UAH 20 billion. Meanwhile, it's too early to relax as 2,000 kilometers of renovated roads are just a drop in the sea of Ukrainian motorways. In early 2017, officials claimed that out of 170,000 kilometers of Ukraine’s road network, about 95% was in an inadequate condition. To cope with this task, Minister of Infrastructure Volodymyr Omelyan believes it is necessary to allocate around UAH 50 billion annually for a 5-year period. This sum can become a reality as early as this year. The government vowes the increase in road construction funding to UAH 46 billion. As officials assure, this became possible due to the establishment of a special Road Fund, which was launched January 1, 2018. The Fund will see money inflows from fuel tax. However, it will only be able to start a full-fledged work from January 1, 2020, when 100% of the proceeds from the excise tax on petroleum products will flow into it. This year, the Fund’s revenues will amount to 50% of this excise tax. A mechanism has also been determined for allocating funds from the Road Fund. It is planned to send 60% to roads of national importance, 35% - to building roads of local importance and another 5% - to traffic safety. Such distribution is a result of road decentralization, also launched January 1. 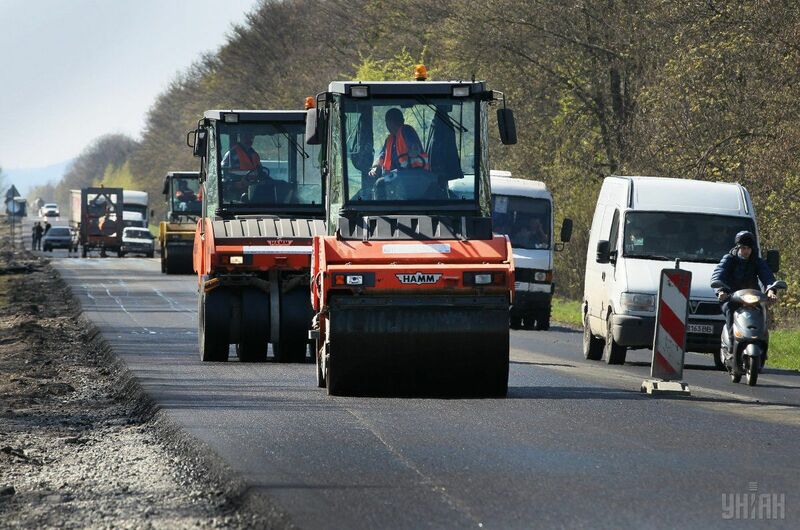 Now 120,000 kilometers of roads are transferred to the balance sheet of Ukraine’s regions, while the central body - Ukravtodor – will retain under its management only 50,000 km of roads of international importance. So now local authorities are to decide for themselves what roads they should repair, and when. However, in Ukrainian realities, it is half the battle to repair a road. The main thing is to make sure that the freshly-laid asphalt does not melt in the spring along with the snow. The Ministry of Infrastructure says that a quality warranty system has already been implemented in road construction and repairs. "In 2017, the warranty is 5 years and more. The number of defects this year was quite high – at 25%. We forced each contractor to do repairs under the warranty terms," said Minister Omelyan. In the past year, the COST road quality monitoring system was introduced, which was independent of the government. COST experts independently monitor the quality of roads constructed, rating regions in terms of the quality of roads and pointing out shortcomings. This year the FIDIC system will also be launched. It will ensure that an indispensable condition for a road repair contract would be the involvement of an independent engineer who, through their reputation, guarantees a proper quality of tender procedures and commissioning process. Thanks to increased funding, this year promises to please Ukrainians with large-scale road construction. According to the forecasts by the infrastructure minister, about 4,000-5,000 km of roads can be repaired. Meanwhile, in the past year, Mr Omelyan himself was often in the epicenter of various scandals. The most prominent one was his struggle for Ukrzaliznytsia, which in late January 2017 was withdrawn from his ministry’s subordination and fell under the control of the Ministry of Economic Development and Trade. The reason for the move was the dispute between Omelyan and Prime Minister Groisman over the performance of Ukrzaliznytsia’s ex-CEO and part-time guitarist of a Polish rock band Wojciech Balczun. Since late 2016, Omelyan has repeatedly accused him of unprofessionalism and dragging reform in the company. Eventually, the minister managed to achieve its goal - in early August, the Cabinet of Ministers dismissed Balczun, and in late August the court ruled that the government decree on the withdrawal of Ukrzaliznytsia from Omelyan ministry’s subordination had been null and void. But it is too early to talk about any success following these decisions. The inter-ministerial struggle brought nothing useful to the state-owned company, where old problems remained in place, of which the most large-scale and acute one is corruption. Law enforcers this year were frequent guests at company premises, announcing either yet another search or detention of mid-level managers. At the same time, both media and experts have repeatedly stressed that Ukrzaliznytsia was much more influenced not by the minister, but by the fabulously rich brothers, people's deputies from the BPP Bohdan and Yaroslav Dubnevych (the latter, incidentally, is also the head of the Verkhovna Rada Committee on Transport). It is no surprise that the firms owned by Dubnevych brothers were often winners of Ukrzaliznytsia’s biddings worth billions of hryvnias. The minister vehemently criticized the moves by said legislators and even repeatedly called on law enforcers to investigate into their actions. However, so far, it was all to no avail. So the battle for the state-owned company will further unfold in 2018. Moreover, the election is coming of members of the company’s supervisory board and its management. Meanwhile, one of the largest state-owned companies is ruled by an acting chief, Yevhen Kravtsov. According to Omelyan, while Kravtsov remains at the helm, corruption-related losses at UZ amount to some UAH 10-15 billion. The past year was also full of news in air transportation. The aviation industry brought plenty of sad news but there were also some positive vibes. Perhaps the greatest disappointment was the last-minute refusal of the Irish discount carrier Ryanair to enter the Ukrainan market. The epic struggle began in the first months of 2017. Then Minister Omelyan began spinning the topic of cheap air travel and stated that the Ministry was negotiating with this carrier. The announcement sparked a huge public response, as Ukrainians are well aware of Ryanair’s cheap flights across the EU. After a painful wait, in March 2017, Ryanair announced the launch from October 2017 of 11 flights from Boryspil and Lviv airports. It seemed that everything had already been agreed. But then came a two-month lull, after which Boryspil Airport CEO Pavlo Ryabikin stated that signing off a contract with Ryanair would make his company lose UAH 2 billion of potential revenue annually. So he has refused to sign the contract until the airport's requirements are taken into account. Part of the expert community supported Ryabikin’s stance, while others were sincerely stunned. Minister Omelyan went further and branded Ryabikin’s statement “fiction”. By the way, the scandal with Ryanair’s entry into Ukraine is not the first one for this company and, probably, not the last. In international business schools, case studies of this carrier’s entries into different markets and airports are taught to students as an example of tough and highly effective negotiations, as Ryanair pursues an aggressive strategy to achieve its goals. Anyway, the outcome of public disputes was Ryanair's statement about withdrawing from Ukraine due to the failure by Boryspil Airport officials to comply with the terms of an agreement previously reached with the Ministry of Infrastructure. Meanwhile, the Ukrainians, who had already bought their tickets, were forced to return them. In this context, it is worth noting that not only Ukrainian passengers were failed by Ryanair's actions, but also the European ones. And all because in September-October the carrier canceled about 2,000 flights because of problems with the schedules of pilots and incorrect calculation of their vacations. Several European governments put forward their claims to Ryanair in this regard. Meanwhile, Omelyan promised that the Irish company would finally enter the Ukrainian market in 2018: "I believe that Ryanair will enter the Ukrainian market. We have already finalized the negotiations. It was possible to find a consensus with the Boryspil Airport, while such [consensus] has already been in place with the Lviv Airport. The year of 2018 will definitely be the year of cheap air travel." For air commuters, the past year was also remembered by some positive news. Despite the failure with Ryanair, Ukrainians still got more opportunities for travel. Ukraine International Airlines announced the lower ticket prices with early booking. Now when buying tickets 10 months prior to the departure date, tariffs are: UAH 249 within Ukraine, while on international routes, it’s UAH 587 to UAH 1087. Besides, last year more discount carriers entered the Ukrainian market. In December, Italy’s ErnestAirlines launched regular flights from Kyiv and Lviv to Milan, Naples and Venice. Now Ukrainians can fly to Italy for about EUR 50. Also, a fully-Ukrainian national discount carrier, SkyUp, will start its flights in March. So the Ukrainians will be able to experience cheaper flights to the fullest. For example, a one-way ticket from Kyiv to Odesa will cost from UAH 499... The infrastructure ministry expects that the new player will bring global changes in the market of passenger air travel. Mr Omelyan also said that he was negotiating the entry to the Ukrainian market with another two air carriers, where the share of the Ukrainian capital is 51%. Eurowings vows new flights along the Kyiv-Berlin route this year, with the further launch of flights to Dusseldorf. Hungary’s WizzAir this year will significantly expand its network of routes: in the spring of 2018, it plans to launch new flights from Kyiv to Lisbon and Tallinn, and from Lviv - to Polish Gdansk and Katowice, as well as Germany’s Dortmund. Also, from September 18, WizzAir will start flights from Lviv to London at a price of EUR 30. 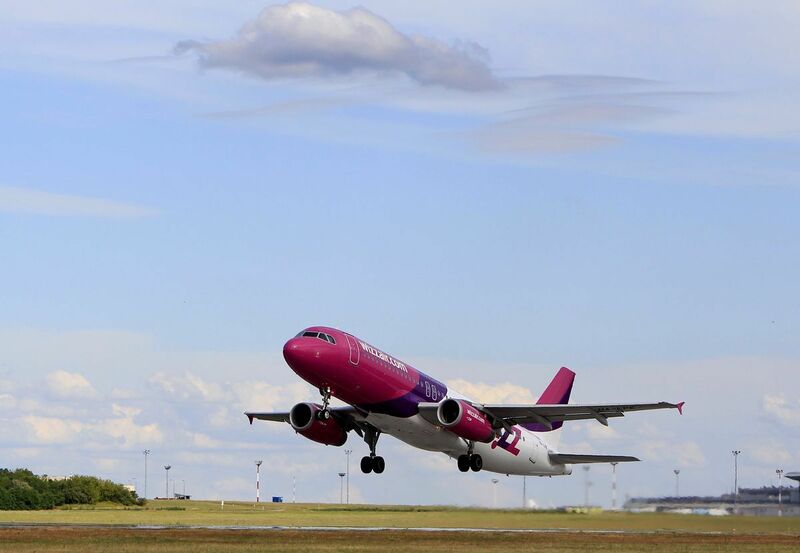 In addition, for the first time in a long time, WizzAir will start flying from Kharkiv to Dortmund and Katowice. Of course, the opening of new flights and the emergence of discount carriers should encourage more competition in the air passenger transportation market. Accordingly, for passengers, this means a further reduction in ticket prices. For Ukraine's water resources, the past year was quite positive. It is safe to say that the news of 2017 can become a real springboard for the breakthrough of the country’s water-related industry this year. One of these news was the decision by the Cabinet to reduce from January 1, 2018, all rates of port charges to 20%. Also, the government ordered to reduce from 75% to 50% the rate of mandatory payments to the state budget from the profit of enterprises of the maritime complex starting January 1. According to the estimates of the Administration of Seaports of Ukraine (AMPU), which unites maritime SOEs, the reduction will allow the seaports to receive an additional UAH 800 million worth of investment. Although, even without reducing the rate of payments to the state budget, last year the AMPU allocated UAH 1.87 billion for financing infrastructure projects in the maritime industry. This is almost 3 times more than in 2016. However, this amount could be even higher, because the financial plan for 2017 provided for investment of UAH 3.9 billion. But, according to the head of the AMPU press service, Yulia Romanska, the task was not completed due to its late approval. "This is lower than it was targeted in the financial plan, since we laid down UAH 3.9 billion. However, it was adopted only in June and, accordingly, the utilization [of funds] began only in the second half of the year," she said. At the same time, for the funds utilizes were used to launch dredging operations vital for seaports. The largest of such projects was the one in the Yuznhy trading seaport (Odesa region), implemented by China Harbor Engineering Company Ltd. (CHEC). The contract for dredging marine approach channels is worth about UAH 1.65 billion. It seems that the AMPU in 2018is not going to stop at the current spot. 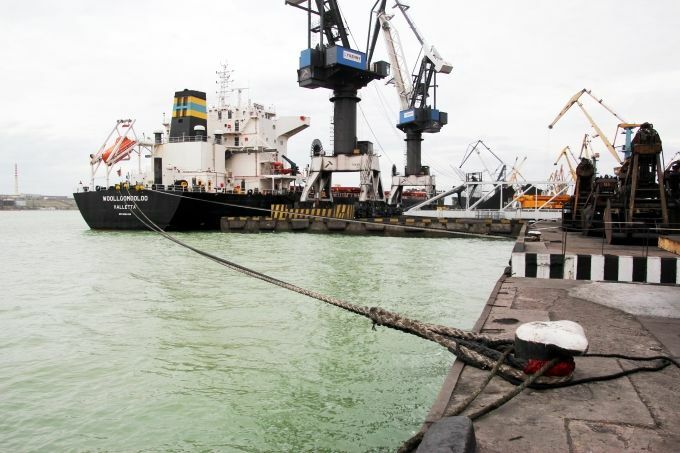 A bidding worth UAH 500 million has been announced to select a contractor for dredging works in the ports of Mariupol and Berdyansk. Also in the coming year, Ukraine may witness an event unprecedented for the country as two of the world's largest port operators could enter its market. Hong Kong-based Hutchison Ports has already submitted to the State Property Fund an application for the lease of berths in the port of Chornomorsk. "A tender with the SPF is still ahead and a tonne of bureaucracy, but this is an important step for Ukraine. In 2018, the world's largest operator of container terminals has every chance to begin its operations in Ukraine. This will be their first asset in the Black Sea basin," said Minister of Infrastructure Volodymyr Omelyan. Port operator from the UAE, DP World, is also planning to enter. It could start its work in the Yuzhny port before the end of 2018. According to the minister, DP World can invest in Ukraine’s port industry from $500 million to $1 billion. In addition to the marine issues, in the past year, Ukrainian rivers, which have long been forgotten, have also come into focus. According to experts, freight traffic along inland waterways fell by 10 times in the period from 1991 to 2017, to just 6 million tonnes per year. The Verkhovna Rada tried to reverse the negative trend by adopting a law on the stimulation of river navigation in Ukraine. It gives the right to individuals-entrepreneurs, who are ship-owners, to carry out transportation under the flag of Ukraine, whereas previously only UA-registered legal entities were entitled to do so. In addition, the law permits transportation of goods under the Ukrainian flag by vessels that are owned by companies with foreign capital. According to Omelyan, the law will allow liberalizing river transportation, creating competition and increasing the annual volume of river cargo transportation to 30-35 million tonnes. The Verkhovna Rada is also set to consider the bill on inland waterway transport. The document provides for the creation of the Administration of Inland Waterways of Ukraine, which, in addition to their maintenance, will also engage in the efficient use of strategic inland waterway transport facilities. In addition, the introduction of a single target river tax and the abolition of a number of other charges are proposed to simplify navigation along the inland waterways. Experts are confident that the adoption of the new legislation will make a huge step in the development of river transportation. But whether the bill will fin parliament support will only become clear at the beginning of this year. As we can see, Ukraine stands on the threshold of a real Renaissance in one of the key areas of its economy, which is the transport industry. Successful implementation of multi-billion projects scheduled for 2018 will give a real helping hand to the national economy set for growth. However, we should be aware of the fact that Ukraine is still far away from a full-fledged integration into the European transport network.